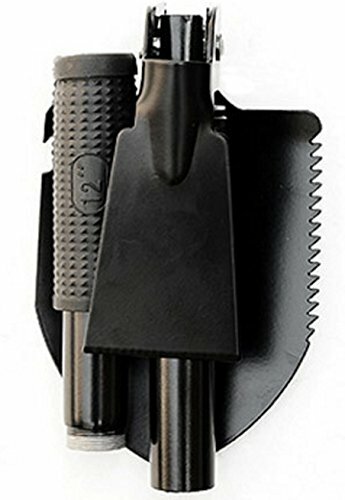 Folding Metal Stainless Steel Shovel Survival Spade Emergency Foldable Mini Shovels Pick Camping Outdoor Tool Black Durable.Good idea For Camping, Hiking, Backpacking, Fishing, Tactical Army Surplus Multitool, Trench Entrenching Tool, Car Emergency Shovel. Lightweight and Compact--The tri-fold design make it most convenient to carry with a well-stitched fabric bag. If you have any questions about this product by Amicc, contact us by completing and submitting the form below. If you are looking for a specif part number, please include it with your message.